GREEN BAY, Wis. – Jan. 15, 2018 – Associated Bank’s Interact with the Pack virtual in-stadium photo experience received a silver award in the business-to-consumer category for best use of a single technology at Event Marketer’s 2017 Experience and Design Technology Awards. Event Marketer holds one of the world’s largest recognition programs honoring the best-designed live engagements across industries. In a season-long campaign to offer Green Bay Packers fans exclusive opportunities to celebrate team pride, “Interact with the Pack” became Associated Bank’s cornerstone game day campaign for the 2017/18 season. 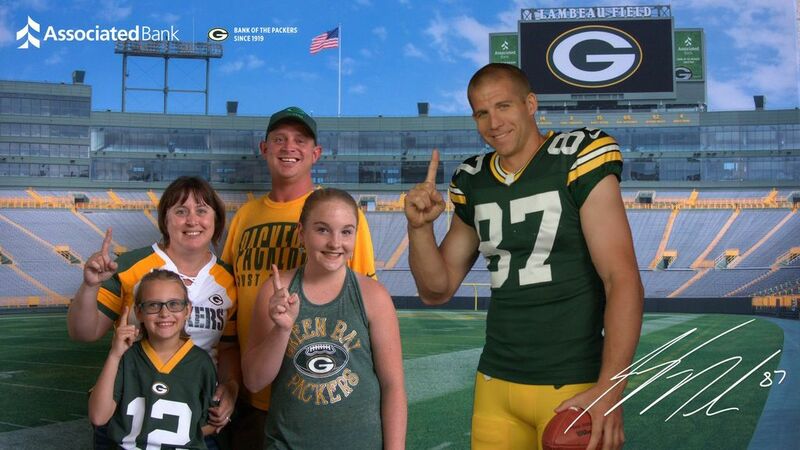 The augmented reality experience offered fans a virtual space to interact with their favorite players including Jordy Nelson, Randall Cobb, David Bakhtiari and Bryan Bulaga. Associated Bank partnered with San Francisco-based design studio Helios Interactive, A Freeman Company, to create the augmented reality experience that forged a connection between players and fans by making fans feel as if their favorite stars were standing side-by-side with them. Following the experience, participants can receive their memento, an autographed photo with their favorite player, via email to share with friends and family on social media. The campaign yielded an astounding participation of about 1,200 fans per event. The experience further offered consumers the opportunity to show their Packers pride with a one-of-a-kind Packers Debit MasterCard® and eye-catching checks, perks that only the official Bank of the Packers since 1919 can offer. Full coverage of the 2017 Experience and Design Technology Awards can be viewed in Event Marketer’s December issue. Associated has been the official bank of the Packers since 1919, the year the Packers were founded and is one of the longest-running sponsorships in the NFL. Click here to view a video highlighting the “Interact with the Pack” experience.